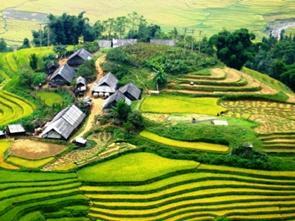 The combination of Vietnam, Laos and Cambodia, once the three countries of French Indochina, together with Thailand, are a compelling South East Asia travel experience. From our base in Vietnam, we can offer you an exciting range of high quality Cambodia holidays, Laos travel, Thailand tours and, of course, a Vietnam tour package. Geographical proximity makes South East Asia travel straightforward. However, despite the closeness of Indochina and Thailand, each of the four countries has distinct characteristics. A grander tour to combine three Asian countries: Three capital cities, five World Heritage Areas including the magnificent Angkor Wat temple complex, the Mekong River and Delta, boat cruises, floating villages, local culture, spending the night on a junk in Ha Long Bay, and much more. Vietnam has the largest population, around 80m, and is arguably the most varied in terms of ethnic and environmental diversity, history and cultural. The largest in land area and the most developed is Thailand. 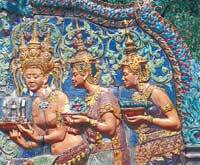 Thailand tours focus mainly upon Bangkok, Chang Mai, and the coastal resorts. 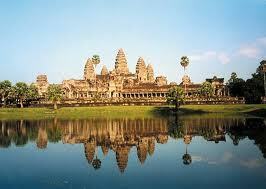 The smallest of the four countries is Cambodia, a mere 181,000 km2 in land area. 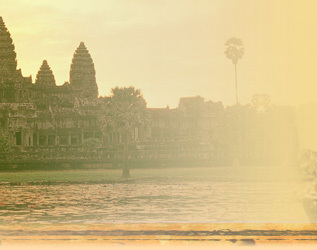 Cambodia holidays are usually centred upon Angkor Wat tours, although Phnom Phen and Ton Le Sap lake are growing in popularity. Laos travel is more problematic as roads are poor and sometimes dangerous. It's sparsely populated – larger than Cambodia but with only about a third of its inhabitants. Many are members of Laos’ fifty or so ethnic minorities, but large numbers live in areas that are difficult to reach due to inadequate infrastructure or unexploded ordnance. Vientiane and Luong Prabang are the main attractions, but the Plain of Jars is also popular. 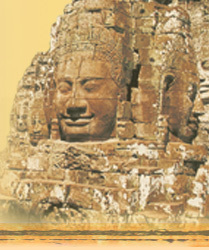 Haivenu offers you the best of South East travel, whether your choice is Vietnam, Laos travel, Cambodia holidays or Thailand tours, or a combination of destinations. From a Mid-range overview tour of Indochina's cultural sites, to Angkor Wat tours or the unashamed luxury of a First Class 'Grand Tour' with an optional extension to Singapore via the Eastern and Oriental Express, you'll have Haivenu's five-star service and silk-smooth arrangements wherever you go. © Haivenu - all rights reserved.